The Dallas Fort Worth area will be the destination for six soccer teams from around the world this July when they’ll play in an international soccer tournament. The clubs will include Newcastle United, Olympique Lyonnais, Pachuca, Swansea City, Malaga and Raja Casablanca between July 9-19. 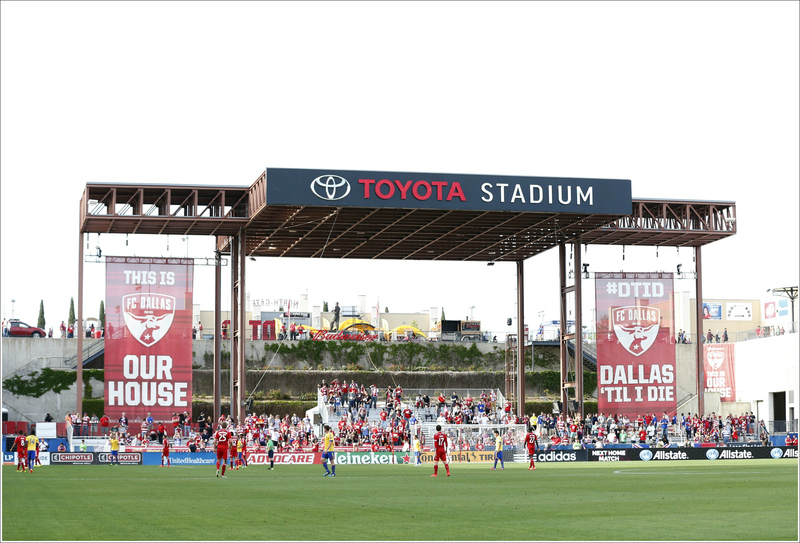 Teams from the Premier League, Liga MX, La Liga, Ligue Un and Morocco will be represented in the matches that will be played at the Cotton Bowl Stadium in Dallas and Toyota Stadium in Frisco. Some of the stars who may be featured in the tournament include Guillermo Ochoa, Yoann Gourcuff, Fabricio Coloccini, Alexandre Lacazette, Wellington, Rachid Ghezzal, Jefferson Montero, Ayoze Perez, Gylfi Sigurdsson, Jonjo Shelvey, Jonas Guttierez, Bafetimbi Gomis, Federico Fernandez, Papiss Cisse, Abdelkader El Ouadi, Jorge Hernandez, Guillermo Martinez, Oscar Perez and Walter Ayovi. The tentative schedule has been released (see below). The location of which games will be played at what stadium (Cotton Bowl or Toyota Stadium) will be announced at a later date. The tournament format includes teams being drawn into two groups of three teams each, 3 points will be awarded to participating teams for each win and zero points for a loss, a penalty shoot-out will follow each drawn game after normal regulation play with the winner awarded 2 points and the loser 1 point. After group matches are played, last-placed teams in each group play for the fifth and sixth positions. Second-placed teams in each group play for the third and fourth positions. First-placed teams in each group will play for the championship trophy, and therefore first and second place. The first placed team will be presented with a commemorative trophy. There you go people from Texas crying about the ICC not going to Texas. As a Swansea fan from Texas, I am very excited about this!! Will be going for sure! I’ll be definitely going to this one too. We should have a meet-up! As a Dallas Jack, I seriously feel like I just won the lottery. Come On (To Texas) You Swans!!!! glad to see more premiere league teams playing but for me its got to be Olympique lyonnais… i have followed this club for a very long time. They rarely do trips to the united states so this is a onace in a lifetime opportunity to see them live in the USA! I’ll be making the trip from Denver, once Newcastle confirm – would be great to see them play in the oottonbowl! I am DEFINITELY excited about coming down from Chicago for this! Will definitely be there to support my Swans. What is the tournament called? Do they have tickets on sale anywhere yet? Do you know who is organizing the tournament.